Elizabeth Geddes died at Upper Latheron 6th August 1931 aged 55. 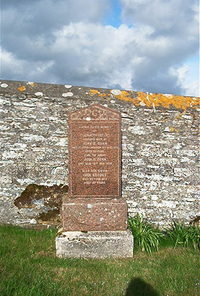 Husband John D Gunn died 15th December 1938. Sister Jane Geddes died 26th February 1933 aged 47.